Like us on our main Facebook Page - and here's our band page too. Upcoming Gigs-HERES WHERE WE WILL BE PLAYING SOON! Music for humans of all ages! 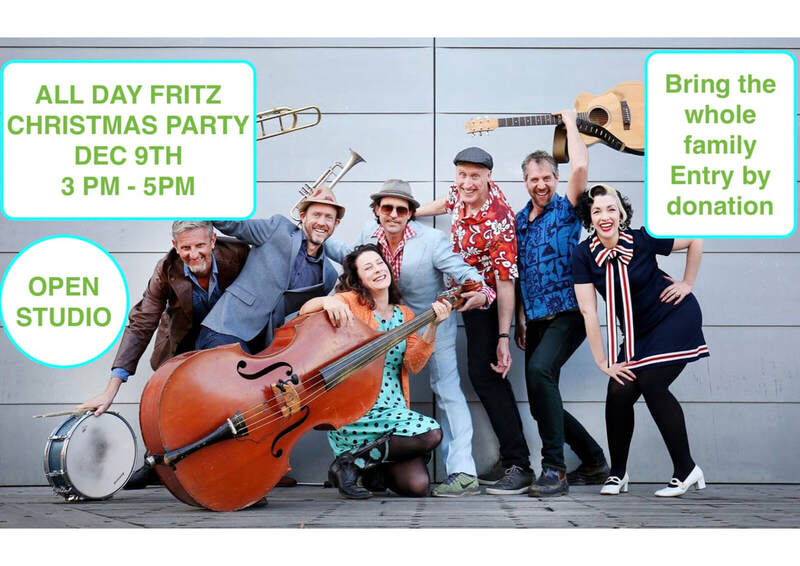 ALL DAY FRITZ are a bunch of well known Melbourne performers who enthusiastically cross the great divide to play musical shows that are genuinely for everybody! 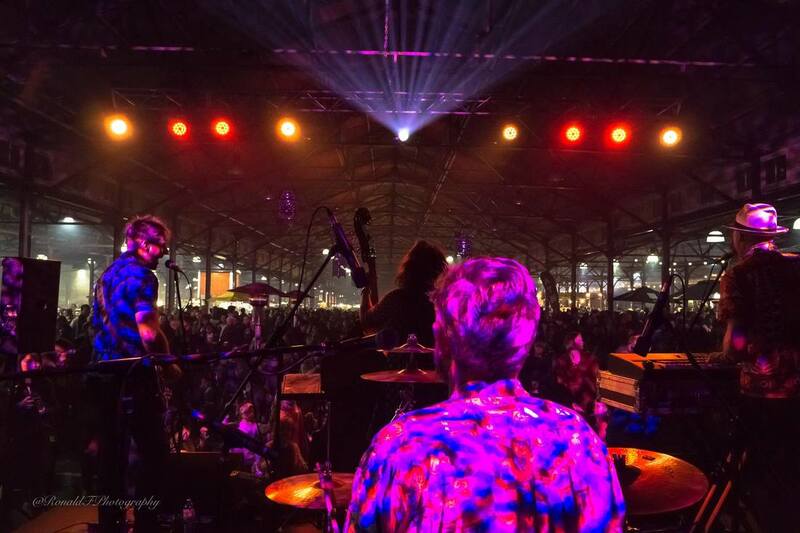 :from Falls Festival Tassie, Port Fairy Folk Fest , the Melbourne Recital , and Melbourne Arts Centre to their monthly residency at OPEN STUDIO in Melbourne,. Fritz love to have a great time with the crowd ,and their unique brand of rootsy ,harmonious ,rowdy ,melodious ,bluesy , humourous, swingy, funky, calypsoey, eclectic ,original music is a hit with adults and kids alike. Fritz are just as at home playing a family crowd or a late night adult venue. The music is rootsy, swingy, jazzy, rocky, rowdy, mellow, groovy, harmonious and never EVER dumbed down. At our gigs we love to see the dance floor packed with people of all ages from grandparents swing dancing to babies jiggling. You can always hit the dance-floor ,or sit back and enjoy the four part harmonies, original tunes and great songs from a range of musical places. ALL DAY FRITZ specialise in hunting down music not usually heard to give the audience a taste of a wide range of musical genres as well as funky original tunes and a couple of favourites people will recognise. ALL DAY FRITZ plays rootsy, harmonious, raucous dance music. The members are well known Melbourne performers with profiles in music, film and comedy. We love to interact and have a great time with crowds of all ages and sizes. At FRITZ gigs the dancing is free, and so is the sitting back and relaxing! With their unique blend of music, workshop, audience participation and humour they captivated the audience both young and old. Do you have our CD? Did you notice the challenge on the back cover? 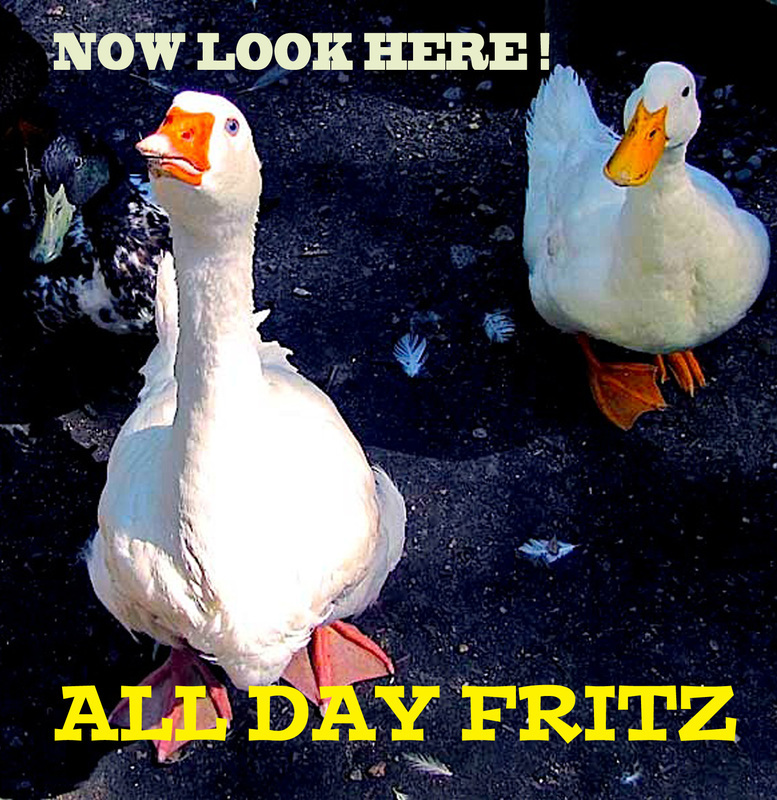 What does ALL DAY FRITZ mean? email us here to tell us your idea. PRIZES! Thanks to everyone who rocked our CD launch at the Bella Union both on and off stage. on the Soundcloud player below. Simply scroll up or down on the playlist to see all the tracks. All Day Fritz at Open Studio - "Banana Cake" and "Garbage Man Blues"
Live at Open Studio. "The Blob". Live at the Port Fairy Folk Festival 2014. 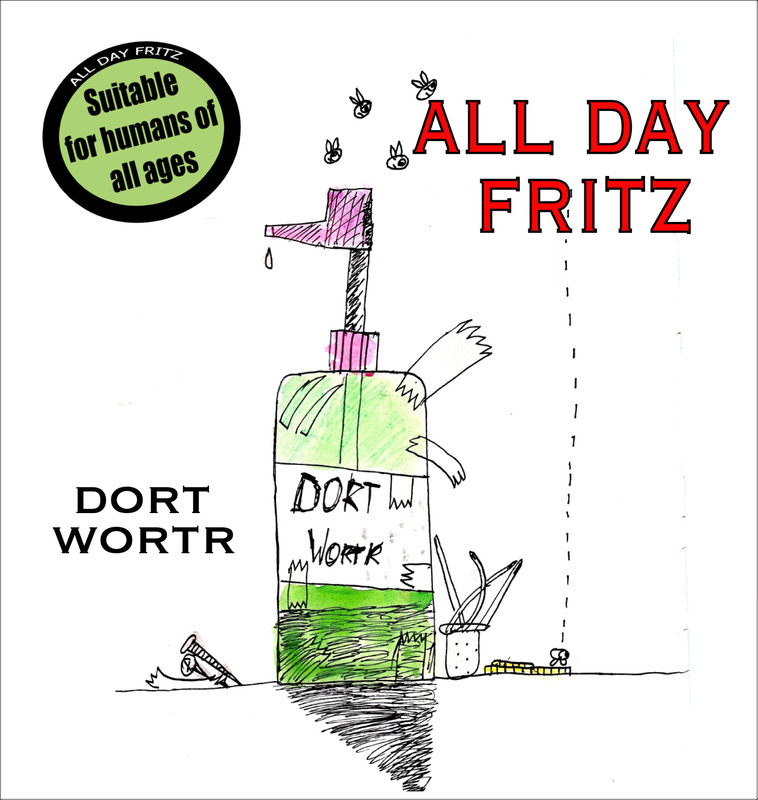 "All Day Fritz"
ALL DAY FRITZ can do concerts for adults only or family friendly crowds. We adjust the material (jokes) tot he audience but the music is never dumbed down either way. FRITZ doesn't play down tp young audiences and respects that they enjoy good music as much as grown ups. We also run workshops in harmony singing, Gogo dancing and percussion. We love to invite workshop participants of all ages and abilities to join us for our performances - singing, playing and dancing with the band live. There are some snippets of our recent all-ages/all-abilities workshop (at ArtPlay in Birrarung Marr) on our workshops page. We teach the crowd simple harmony parts to some of our songs and then our "choir" are invited to sing live with us later at the gig.